First of all, I am sorry for not posting to this blog more frequently. I do have an excuse though. 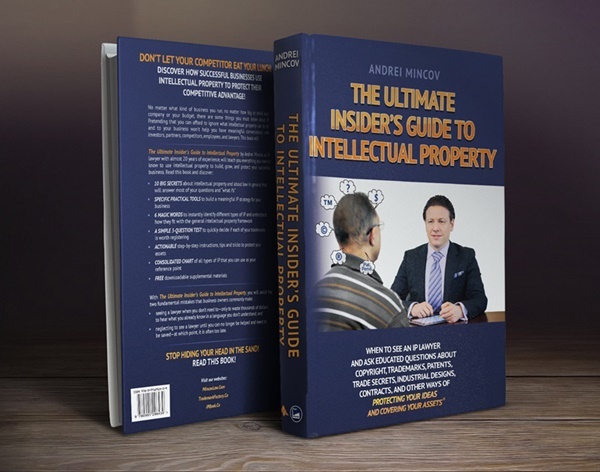 For the past several months, I have been working very hard writing my new book, The Ultimate Insider’s Guide to Intellectual Property – When to See an IP Lawyer and Ask Educated Questions about Copyright, Trademarks, Patents, Trade Secrets, Industrial Designs, Contracts, and Other Ways of Protecting Your Ideas and Covering Your Assets®. The publisher is now going through the final motions to get it out to Amazon, which may take another week or so. I set up a separate website where you can have a look at the table of contents and read what others say about the book. Check it out at http://ipbook.ca.